I wrote this on the occasion of the Japanese earthquake some years ago, but Buddha’s advice still holds true. I asked these questions on Facebook and share some replies below. I just saw three fish struggling for their lives, inevitably losing the battle. One was big, one was medium, one was small. Their mouths were gasping and their silver bodies thrashing about, eyes wide with fear, drowning in the air. I felt sick. There was nothing I could do. They were surrounded by fishermen who would neither understand nor appreciate my wish to throw them immediately back into the silky water, their home. I said prayers for them as I walked slowly back home. And they reminded me of how ghastly the drowning deaths of so many thousands of human beings in Japan has been. Again, what can I do about it? I am many miles away. I can’t even directly help one of these poor scared people as they transition so abruptly and alone to their next life. 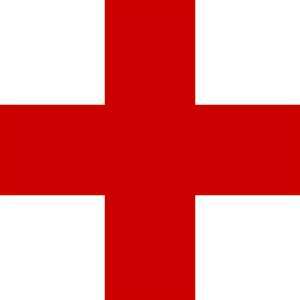 One of the first things I did was donate some money to the Red Cross, as that seemed practical and obvious; but I am not rich and know my contribution will not go terribly far, maybe it will provide the survivors some clean drinking water or a blanket. Still worth it, of course. But the truth is, from a Buddhist point of view, we don’t need to feel helpless. There are things we can do. Every suffering we see is a reminder and an incentive to progress quickly from an ordinary limited state (of someone who cares but feels relatively useless) to that of a trainee and then real Bodhisattva with universal compassion and an enormous joyful confidence to help, and then an enlightened being with the power to bless everyone’s mind each and every day forever. If you’re interested, what I do when I sit down to do these practices (as opposed to doing them on the fly) is believe that Buddha and all the holy beings are in front of me and that the world is transformed into a Pure Land – all those who are in pain are seated around me, and they too are coming under the protection, love, and influence of all pure, compassionate, powerful beings. This instantly makes everything less helpless, bringing the future result of spiritual practice into the present, imagining it is so, right now. “Our main job is to pray”. In this instance, even if we cannot be there in person to help, there is so much opportunity also to rejoice and feel happy about others’ incredible qualities and actions. 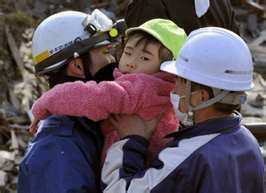 People everywher e are bending over backward to help, and the rescue workers are all far out of their own comfort zones. The Japanese in general are behaving with such integrity, there is no looting, people are looking after each other… And what about those 50 faceless workers who have sacrificed their health and their lives to protect their fellow citizens by staying behind at the nuclear plant? Kindness, unselfishness and good karma are alive and well in Japan. If we feel there is nothing we can do, and so we do nothing, what will happen? After the initial shock, eyes glued to the appalling but sensational footage, we will feel guilty, we will make ourselves feel indifferent, we will change the channel, we will quickly forget… already the news of the earthquake and tsunami are fading on the front pages, to be replaced for sure by the fear of nuclear catastrophe over there, and also of other disasters such as Libya. But with the slow fade out in the news, have we also forgotten the people who are suffering so badly? How often do I remember Haiti? How often do I remember anything that happened even last year? You can read about how to do this powerful practice in Transform Your Life. It instantly increases our love and our compassion and makes us feel we are doing something that counts (which is true). I think it may be the best antidote to feeling powerless, along with prayer. Yes thank you for this. I was watching Comic Relief recently where Lenny Henry visited a slum in Kenya. He was so overcome with the conditions a family were living in he personally took them out and found them somewhere better to live. That got me thinking. What should we do for the people who live in these conditions all over the world to really help them? Give them money and resources? How much should we give? How much could we give them for them to be happy? I suppose ultimately we could give them enough so that their life is similar to ours, with all the advantages of a developed western lifestyle. But – we aren’t happy either. We have so much but even with all this, we are still not satisfied or content. Thankfully there is something I can do which is truly meaningful – become a Boshisattva. Then I can relieve the sufferings of all living beings. What a wonderful opportunity. We should practice ordinary forms of caring i.e. donations for disaster assistance. But Geshe-la’s great kindness is that he leads us towards developing the mind of caring through prayer, Lojong, and bodhichitta. In this way, we create the causes and conditions to be a GREAT caregiver to unfortunate beings in our future lives. It’s only short-sightedness that reaches for results now, in this world, in this life when we can use this tragedy to create the mental tendencies that will continue to help these beings in life after life, again and again, until finally our compassion is rich enough to bestow pure happiness upon them. The greatest gift we can give these unfortunate beings is the promise to use our human life to increase our tendencies to help them in future lives, when our capacity will be greater. Well, this is just an amazing post! I love this blog. Going to refuge towards correct view shared with others in such eloquent ways! There isn’t others over in Japan suffering – we are suffering every waking moment we are not enlightened. How do I get enlightened faster – is my question when these disasters happen. I do a lot of purification practice – my negative karma is surely playing a big part in the disasters that appear to my mind. 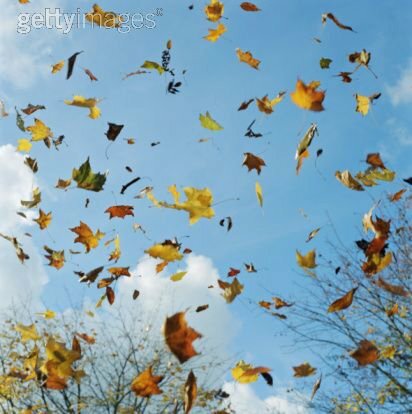 I dropped a dish and got angry because it was one of my favorites – Then I thought – What if I lived in Japan and my house shook and shook till all the dishes broke and a Tsunami wave washed my house into a cow pasture 5 miles away. 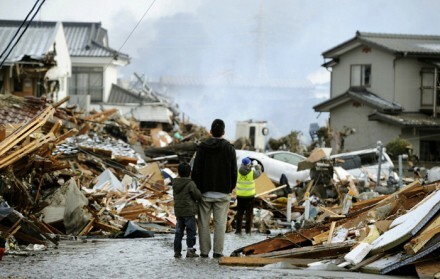 I am sure the day before the earthquake – no one in Japan thought that could happen to them. 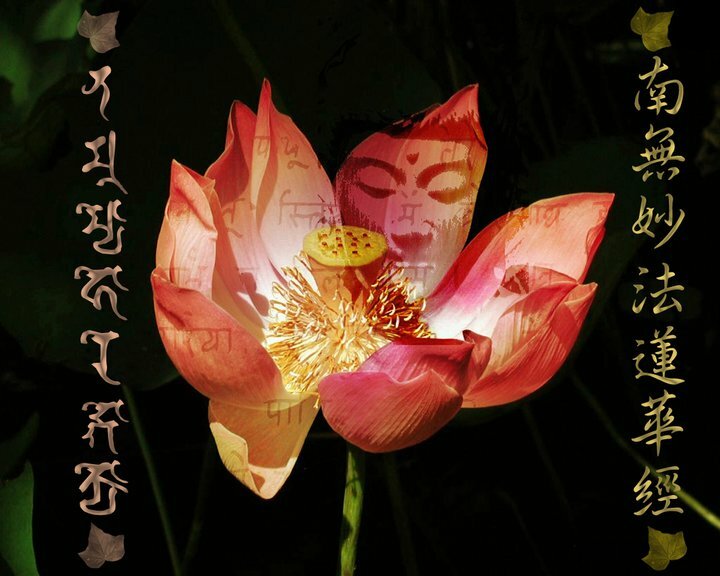 Life is uncertain – death and suffering,in samsara, is certain. If i can’t look to enlightened beings(those who have gone before and pacified their minds) who can I turn to to help in my own salvation. I too sit surrounded by holy beings in my meditations for developing a peaceful mind. They are the lineage guru’s of our tradition (Kadam Dharma) who brought us these beautiful and effective practices. Mixing my mind with those holy and empty minds is such a relief and refuge! Thanks for putting this together, Luna. It’s a cunning plan to use our FB comments in such an inspiring article. It’s hard to know if our prayers, or practice of taking and giving, makes any difference. I believe it all does; but it was good to be reminded of those words, ‘just try, don’t worry”. Something that also makes compassion and renunciation very real is when you go to a medical appointment and bring along a copy of Joyful Path or the New Meditation Handbook. Reading the section on the sufferings of sickness while sitting in the waiting area, feeling everyone to be a perfect example of Geshe-la’s words, and exchanging yourself with those surrounding you empowered by your own painful experience taking place in the same moment and a shared space is a powerful practice for developing the wish to escape samsara in order to help others in the same way that we ourselves have been blessed. Last year I went to an empowerment where the teacher encouraged us to remember that everything that happens in this world is an appearance to our mind – including all the tragedies! Therefore, we can offer humanitarian aid by engaging in Confession Buddha practice in order to purify this karma. What an amazing article. I too donated a small amount to the Red Cross, but feel my mantra and prayers are more impoortant. I especially pray for the 50 who stayed behind to save countless others. I hope to be like that soon. They are incredible examples of pure Buddha nature! Previous Previous post: What is the point of faith?